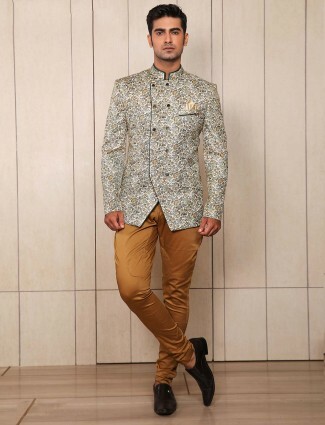 Buy Coat Suits for men online for wedding wear, reception wear, business wear, party wear in all colors and fabrics. 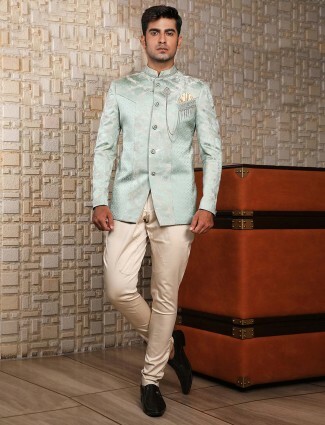 We offer a wide variety of patterns from traditional Indian Jodhpuri coat suits to the Classic Tuxedo. Black Coat Suits & Navy Suits are every man’s staple choice for wedding wear or a conference. 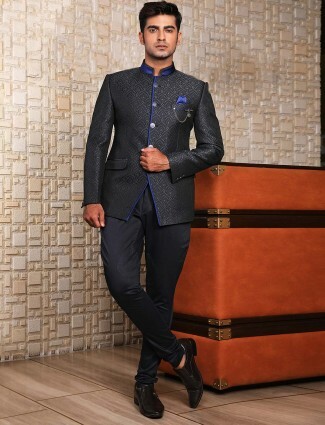 If you wish to look exclusive at any function or a do, you can invest in a designer coat suit. The designer gives his unique touch to the coat and suit and ensures that the coat suit you are investing is a one of its kind. 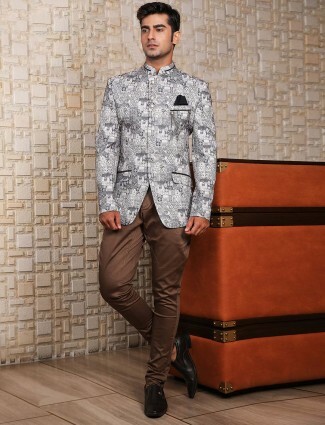 Show off your taste by flaunting one of our designer coat suits for men. Weddings are indeed a special occasion and more so, if you are the bride groom! Take a keen look at our specially designed wedding suit coat that will add the royal touch for your wedding attire. Check out the style in which our white wedding coat comes in. Think of parties and one colour that would be perfect any time of the year and round the clock is black. Check out our black coat suit that will just be ideal for any occasion. 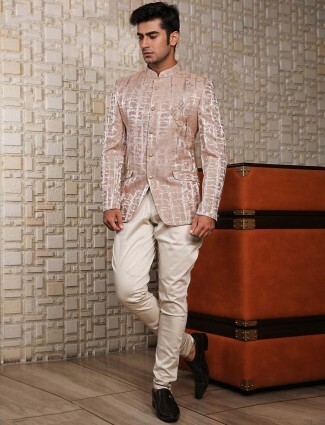 We have exclusive beige linen wedding wear in this segment. Three piece coat suits and exclusive designs are also available for our customers to choose from. Coat suit online shopping amidst such huge variety is indeed a visual treat and a shopper’s delight! These tuxedo suits are also available, in fact, we have matching dress and coat for wedding. Keep all your worries about getting ready for a wedding to rest. For, you can sit from the comfort of your place and shop coat suit for men online. 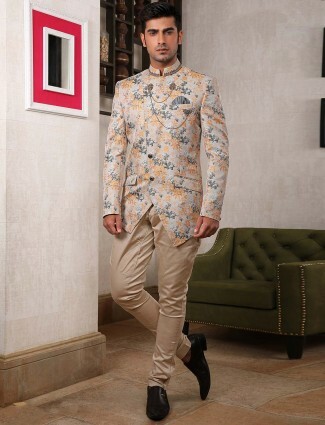 At G3+ Surat; we provide you with a wonderful opportunity to shop for the latest coat pant designs for men wedding. In short, we are a one stop shop for all men’s formal, informal and party wear needs!